If you have any questions about the SIRONA III information page below please contact us. The motor yacht SIRONA III is a 57 metre 188 (foot) large steel boat which was created by Oceanfast (Austal) and devised by Oceanfast and Bannenberg Designs Ltd. Sleeping 12 passengers and 13 crew members, motor yacht SIRONA III used to be Sycara Iii which was her shipyard project name or yacht title. 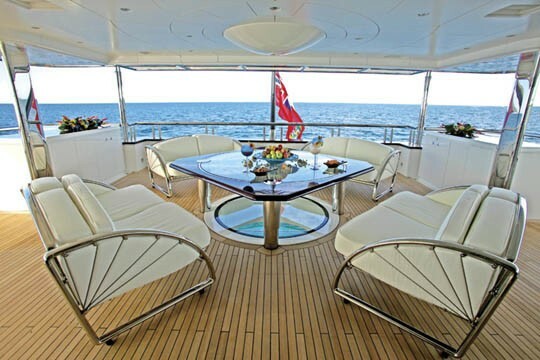 Completed in 2003 the comparatively recent internal styling illustrates the seasoned experience which are originating from Bannenberg Designs Ltd and the owner who commissioned the yacht. M/Y SIRONA III’s name is derived from that of a Celtic goddess known for her healing powers. Oceanfast was the naval architect firm involved in the technical vessel composition for SIRONA III. 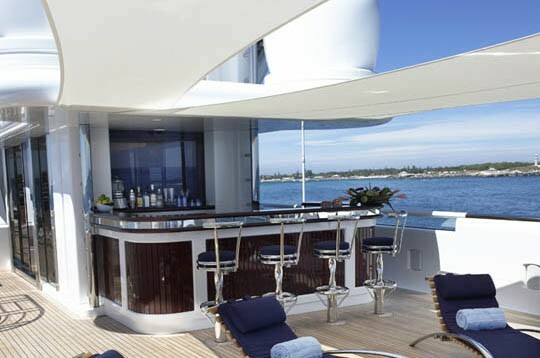 Her interior design was completed by Bannenberg Designs Ltd. Oceanfast and Bannenberg Designs Ltd is also associated with the yacht wider design collaboration for this yacht. Built by Oceanfast (Austal) this vessel was fabricated in Australia. She was successfully launched in Fremantle in 2003 before being delivered to the owner. A fairly large area is achieved with a maximum beam (width) of 10.27 metres or 33.7 feet. With a 3m (9.8ft) draught (maximum depth) she is reasonably deep. The material steel was used in the building of the hull of the motor yacht. Her superstructure above deck is fashioned from aluminiumandgrp. In 2005 extra refit work and modernisation was additionally finished. Powered by two CATERPILLAR diesel engines, SIRONA III will attain a maximum speed of 15 knots. SIRONA III is propelled by twin screw propellers. She also has an efficient range of 4600 nautical miles whilst underway at her cruise speed of 14 knots. Her total HP is 3500 HP and her total Kilowatts are 2575. 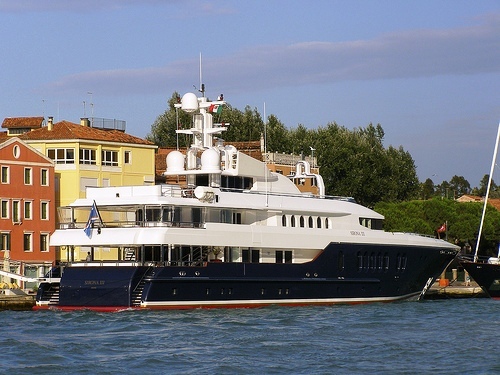 The impressive luxury yacht motor yacht SIRONA III can accommodate up to 12 guests and 13 crew members. 57 metres / 188 feet. 4600 at a speed of 12 knots. 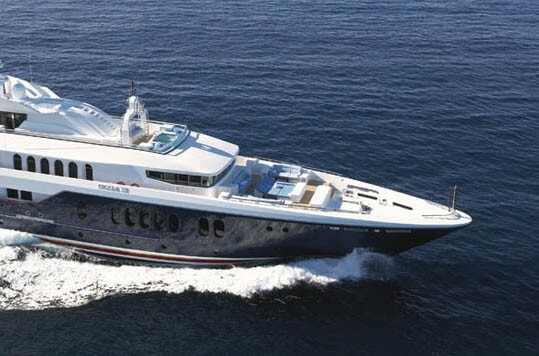 During Sept 2009 SIRONA III cruised Antibes, in France. 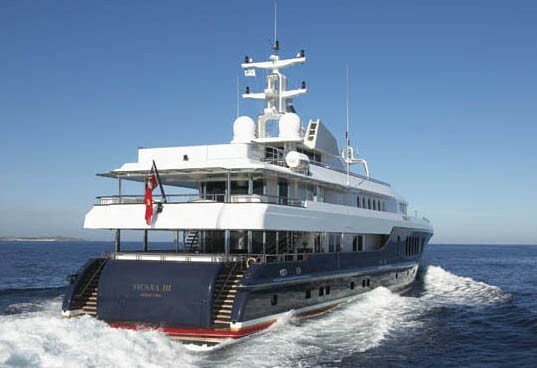 This motor yacht also cruised the location encompassing Département des Alpes-Maritimes during October 2009. The yacht uses An Unknown Brand air conditioning. She has a teak deck. 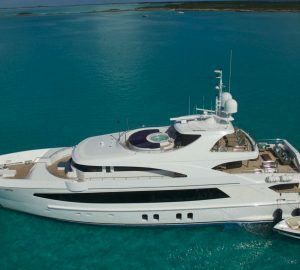 The luxury yacht SIRONA III displayed on this page is merely informational and she is not necessarily available for yacht charter or for sale, nor is she represented or marketed in anyway by CharterWorld. This web page and the superyacht information contained herein is not contractual. All yacht specifications and informations are displayed in good faith but CharterWorld does not warrant or assume any legal liability or responsibility for the current accuracy, completeness, validity, or usefulness of any superyacht information and/or images displayed. All boat information is subject to change without prior notice and may not be current.